Yes, we sell books, but wait — there’s more! We offer meeting and event space, as well as special services for authors, educators and partners. Wanna party? What better location than a 1500 sq. ft. venue right inside a bookstore?! Top it off with catering from Libro, and your guests will have the time of their lives. Or, if you're ready to get down to business, let's set your team up in a serene location, away from the hustle and bustle of the office, so you can focus, meet, and watch productivity SOAR! Thinking of something else? Just give us a shout and let us know what you're planning, and see if our event space is a good fit. We'd love to have you! E-mail rentals@novelmemphis.com for information and rates. Are you an author? Want to see your book on the shelves at Novel? We do too!! 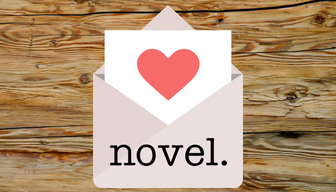 Stop by the store and ask for a new author form, or e-mail us at authors@novelmemphis.com to get started. Teachers, librarians, and educators of all sorts -- we want to work with you! We know how frequently educators reach into their own wallets for classroom and students needs, so we offer a 20% discount to teachers on all classroom purchases. Just present your current educator ID when you check out. Novel wants to make sure we have the books your students need— just assigned Hamlet? Give us a call or drop us a line and let us know to stock up for your class. This way you can be SURE they will be able to get the book in time. Wondering how you can help your students get their summer reading list out of the way early AND benefit your school? We offer summer reading order form fundraisers! We all remember the excitement of a school book fair - but educators know that it can be a struggle to get the right title mix, and to plan and staff the event. We will work with you to customize the book fair experience YOU want for your students, while maximizing profits for your school, and minimizing headaches. If you don't think an in-school book fair is right for you, let us plan an in-store fundraising event for you, where students, families, friends, neighbors, etc. can shop Novel's entire inventory, with a percentage going directly back to your school. Did you know we can bring authors to your school? When authors stop here while on tour, we occasionally have the opportunity to get them out during the day to schools like yours! If you're interested in being a part of our Authors in Schools program, please e-mail info@novelmemphis.com for more details. Additionally, any time you need to purchase books for your classroom, library, for incentives or rewards, we would love to work with you to help select the right titles, and to provide the books you need quickly and effortlessly. Schools and educators are key players in our mutual goal of growing new generations of readers. Thank you for all that you do, and if you have an idea about how we can help you that you don't see listed here, feel free to reach out and let us know! E-mail info@novelmemphis.com for additional information about any of these programs. Local businesses and organizations are a vital part our community, and Novel wants to partner with you to help ensure your success. Are you bringing a speaker and need someone to come sell books? We'll be there! Want to purchase books as incentives or rewards for your employees, customers, or other favorite people? We can do that, too! Need to raise money? Let's put our heads together to come up with ways to work together to help you reach your fundraising goals. Contact us at info@novelmemphis.com to let us know if any of this sounds right for you and your organization or business, or if you have any other brilliant ideas (we know you do) about ways we can help you out.